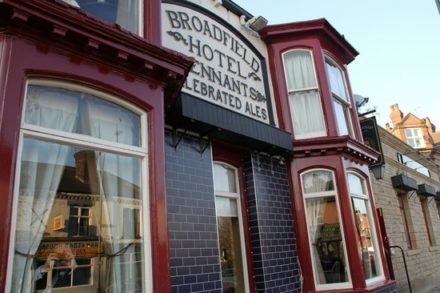 Built in the 1890s by a man named Albert Twigg (whose memorabilia still adorns the walls of our pub) and situated on Abbeydale Road in the Sheffield Antiques Quarter, The Broadfield has a long history, with its ups and downs, but remains at the heart of the community just as it did back in the 19th century. Since our refurbishment in 2012 we’ve made a real effort to restore the pub to its former glory, serving good food and great drinks in a friendly atmosphere. Our beers are sourced from locally, including our own brewery, to internationally and the same goes for our wines and spirits. We have a single malt whisky from every working distillery in Scotland, gins ranging from our own True North Sheffield Dry Gin to Japan, wines from around the world and a whole host of other drinks to boot. In the restaurant, we take exactly the same approach to our menus and service. Serving everything from oriental inspired dishes to pub classics like our award-winning pies & sausages, you’re sure to find something that takes your fancy, with a friendly face to bring it to you and ensure your experience is a great one.